This is an Urban family staple! We are in love with our Greek Salad! We make it about 2-3 times a month and every time it is even more delicious than the last! At least we over-do something healthy right? It is very simple but there is something so fresh about it! 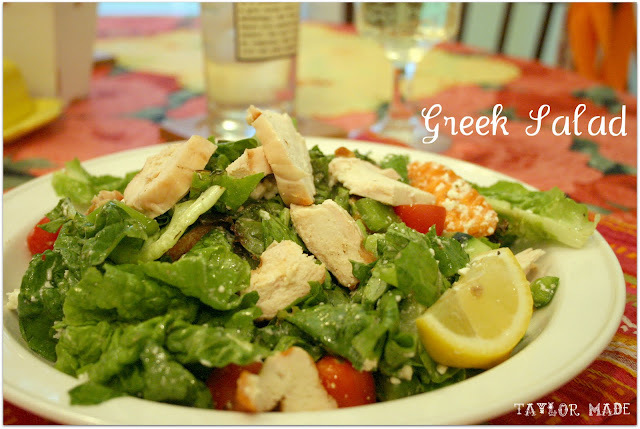 We do change it up from time to time and add some extra flair, but here is the recipe for our simple yet amazing Grilled Chicken Greek Salad. You have to toss it all together to get the true Greek Salad experience. 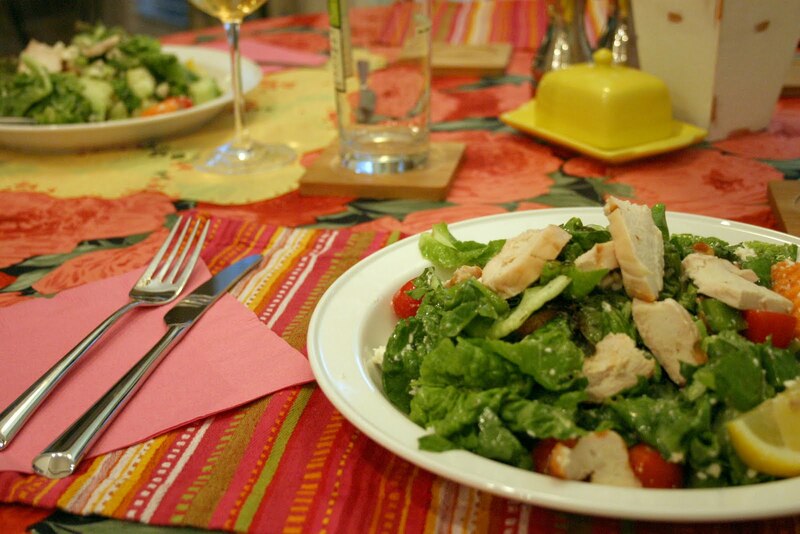 Pour a glass of wine and serve with some crusty french bread; dinner is served! I LOVE your blog, Taylor!! You’re so creative!! Wish we lived closer still so you could give me sewing machine tutorials!! I am trying to make a quilt and was having issues last night! Thanks for the inspiration. Fish tacos look delicious, too!! :) Hope you’re doing well! !